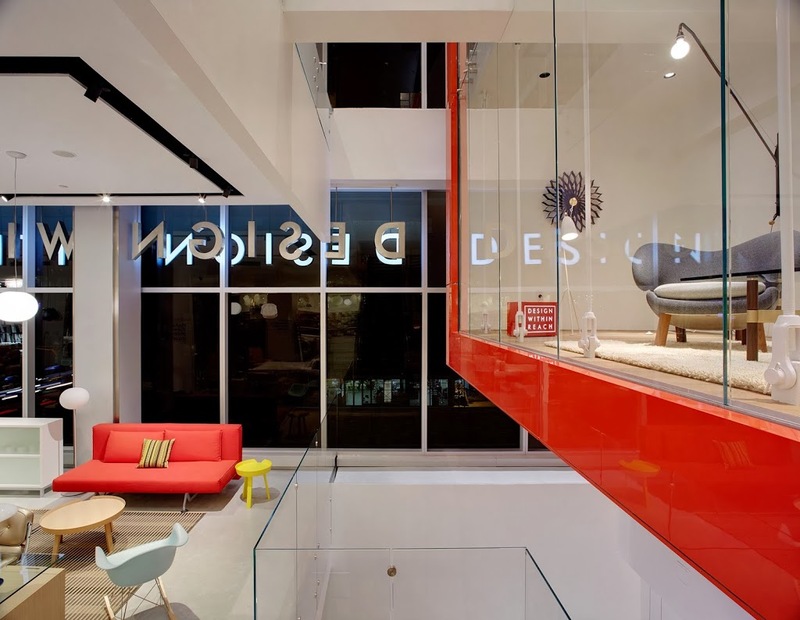 Kathy Pryzgoda and her team at Light Studio LA completed their 7th store with Design Within Reach last week. Collaborating with Sayigh Duman Architects, the lighting is an integral part creating a “lantern” on 3rd and 57th. Recessed black slots in the ceiling plane disguise the LED track spots and create a clean pattern of geometric shapes. Light Studio LA integrated trim-less adjustable LED spotlights into the ceilings of the “apartments” creating a clean and quiet ceiling. 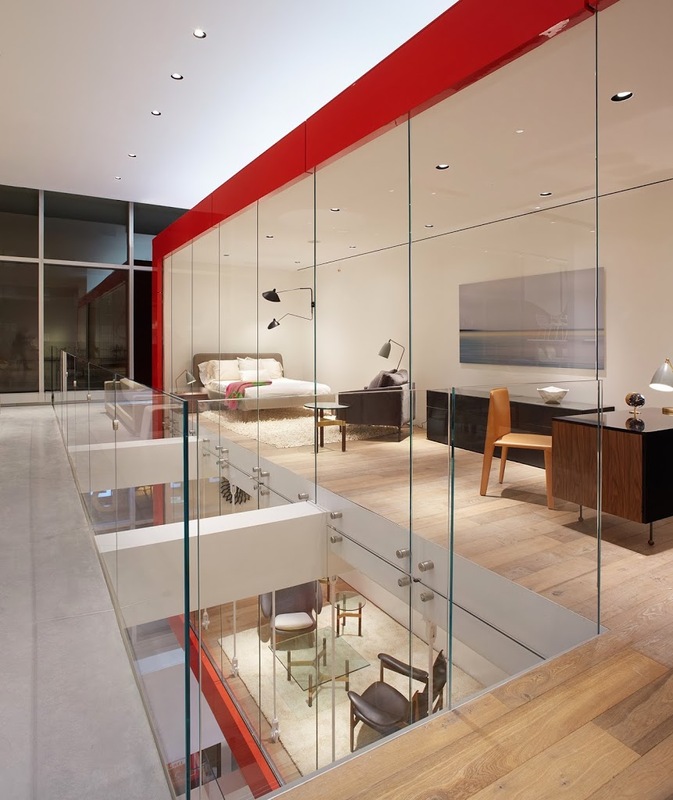 A combination of direct and indirect LED lighting fills the space. 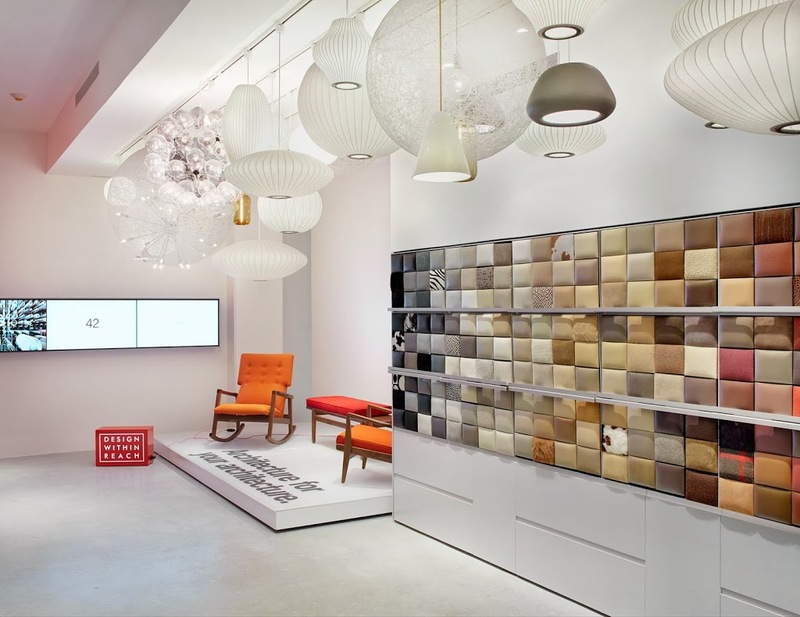 The “light cloud” and the vertical illumination of the “swatch wall” draws the client’s attention deep into the store. 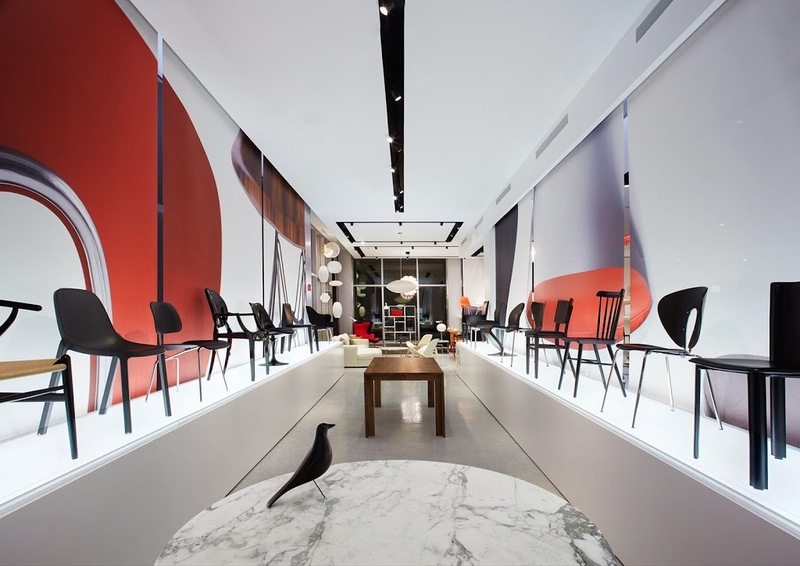 Light Studio LA used internally lit chair displays to indirectly light the ceiling and the vertical super graphics created by the firm, 2X4.